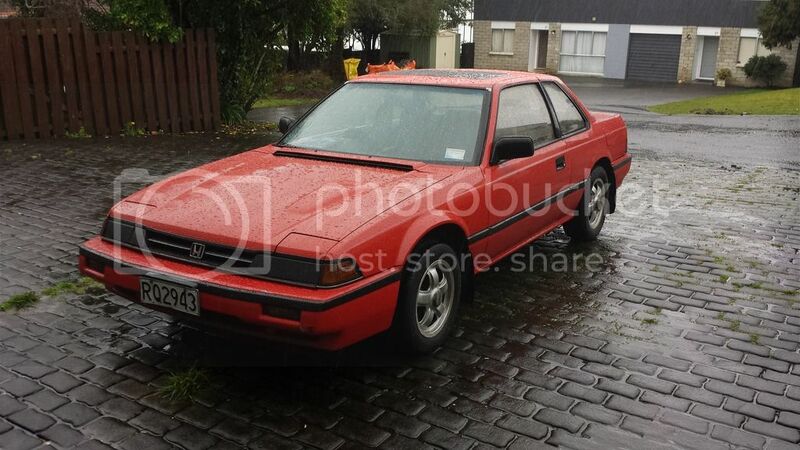 So I just bought a 1985 JDM Goldtop B20A Honda Prelude and just wanted advice on a few things as it's my first car and I'm not necessarily the mechanic type right now. I'm hoping to lower it, but haven't really had any luck with finding any coilovers, so was just wondering what other people have done to lower their second generation Preludes. If anybody has. Any advice is very welcome, and budget isn't really an issue for me just wanting a safe legitimate way to do it. If you just want coil over sleeves, I believe you can use some from a civic, like 92+. If you want full coil overs, you will need to convince a manufacturer to do a limited production run just for you. Gold top b20a's are super rare, almost like the lost treasure of Coronado's gold...get it? gold... Make sure you get a nice tuneup for that motor before anything else and replace anything that needs replacing. After all it is an '85. As for lowering springs, Eibach made kits and so did Ground control. Im sure scouring ebay will turn up a pair or set...good luck with finding coilovers though. ...does you car have a digital dash? pics!!! Second gens surely didn't have digital dashes? Never, ever, ever, ever, ever question the boss. Never! 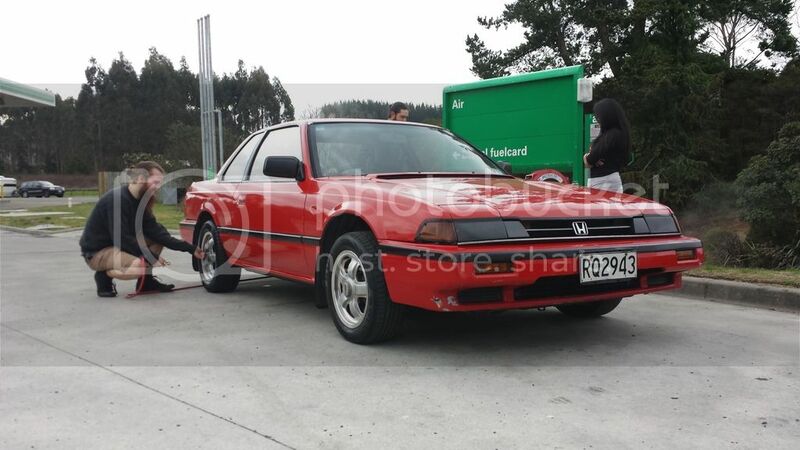 Thanks for all the advice guys upon searching Google though I found thesehttp://www.yellowspeedeurope.com/manufacturer-selection/honda/prelude/prelude-83-87/coilovers/yellow-speed-racing-dynamic-pro-sport-coilovers-honda-prelude.html Does anybody know anything about these they're going to run me about 1300 to be shipped to my door. As for pictures I'll post them when I have some time off, but gold tops are fairly common here in New Zealand as I got this for around 1300USD. Im always on actually; I just never participate and post. I guess I just lurk, troll, do admin stuff and laugh at the follies that goes around here lol! I hold on to this place because one day I'll be back in a Prelude. Believe it! Ah yes, how did I figure you'd be from Oceania. I swear all the rare Japanese cars end up in New Zealand. good first car, albeit very old. As for the the link you've attached, I've never heard of them. Try searching for just springs. Yea, haha New Zealand is great for that, I'm sure I've seen about 6 GoldTops being sold in the last 6 months. If only we were as lenient on car laws as the Japanese though! Yea there's a little rust on the sill that hasn't broken through yet but have had it treated. Yellowspeed is generally known in New Zealand not sure how well known they are else where but they have got a good reputation so I may buy them hoping that they are simple bolt in coilovers. I want to be able to adjust height easily as I'll be doing a lot of adjustments so springs was kind of a last resort if anything I think I would have gone for a brand like 326 Power also as I've been told not to trust Ebay parts haha. It's hit or miss with ebay parts. Some people are superficial and need the brand name parts while others just want the function over the name. Either way, good luck sourcing the adjustable coilovers. Hurry up with the pics of the Lude! Car looks not bad at all! nice pickup indeed! Make sure you find the source of the leak and fully dry out the interior. You don't want any mold growing inside I personally would rip out the carpets and reupholster the floor...but that's just me. Is it just me that can't see my posts? In your "my profile" find settings, change your subscribe settings to subscribe to your posts. Or at the top of the page, drag down thread tools, and select subscribe. I saw Prelude13 speaking of your car as if you had posted some pix or something...and was like "huh?" ?? I don't know where his post went to but I could see it logged in but logged off it's nowhere?!? Sorry for the really late update! But I picked up the car on Saturday and its been bad news this week. The car wasn't in the greatest condition but it was good enough, and after the three and a half hour drive back and a ticket for the tow bar blocking the license plate, the car didn't have any issues with the engine (apart from an idle problem that's apparently common, does anybody know anything about this?). 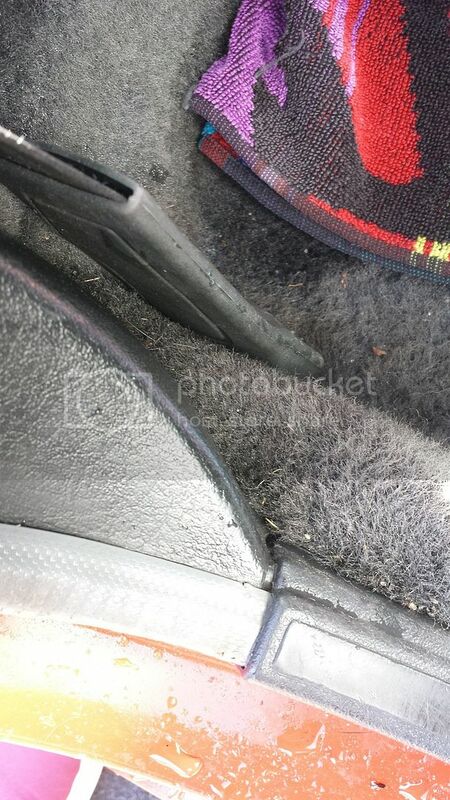 Fast forward to Wednesday after Auckland having a spree of terrible ****ing weather I discovered a leak coming from the door and about a 2cm puddle covering the floor at the back of the driver seat. This made my day terrible so now I have some work to do as I will need to take the carpet out and dry it and see if I can fix the weather seal. But as you wish here are some photos on the day i picked it up, I still haven't had a chance to take it out for proper pictures as work has me busy 24/7 pretty much. This is a pretty bad leak and I am temporarily covering the car with a tarp til I can get the garage cleared. Anyone else ever had this problem would love any advice on how to fix this. 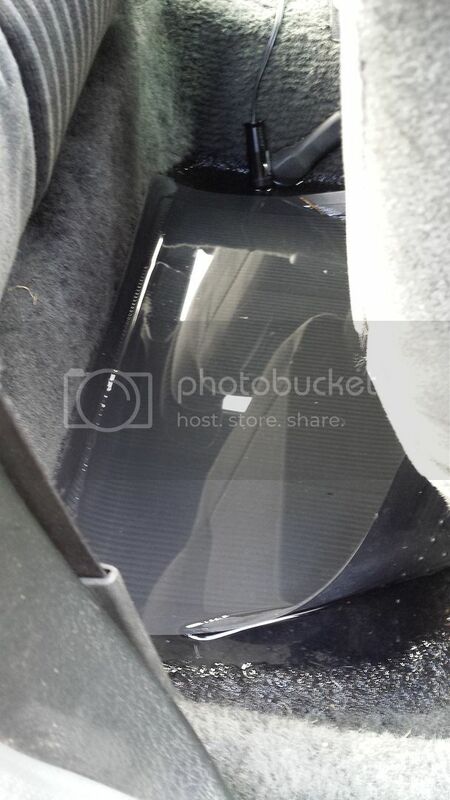 If your trunk is a swimming pool too, it could be your famous leaking Honda gaskets and the water moves forward when you brake. Can't speak for the 2g, but have had that type issue with a 3rd and a 5th. I think in the time I've been here this is the most times I've seen 13 post on a thread...including the thousands I've read while researching, or lurking the last 3 years. 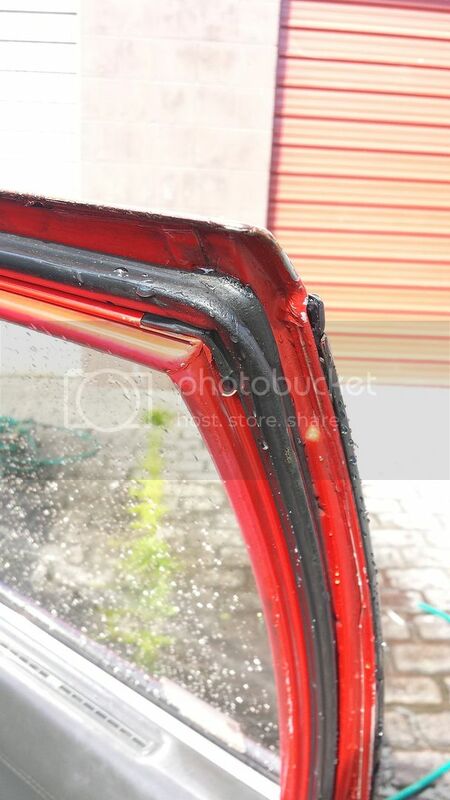 If it is the tail light gasket, and it's intact, you can clean the metal and housing surfaces of the soil, carefully wash the neoprene, let dry overnight and put a bead of permatex on both sides of the gasket for a pretty good seal. I used the black 'make-a-gasket' type over a year ago and the trunk is still dry. Last edited by bykfixer; 09-08-2015 at 06:47 PM.